Training your dog the positive way. It's fun and effective, both of you will love learning together. Puppy Colours is a dog training school in Singapore that teaches dog owners to teach their dogs using methods based on behavioural science using positive signals and positive reinforcement – without using any force. This training concept has numerous applications and is popular among athletic coaches, educators working with special needs kids, pilot instruction schools, dolphin & whale trainer, and, yes, dog trainers. Our training focuses on real-life & social skills and problem prevention along with basic training skills. We guide dogs to make good decisions on their own and become a happy and well-mannered member of the family. You both will learn how to communicate so you can understand each other; developing wonderful relationship based on cooperation and trust. A certified dog trainer, Dieta has seen first-hand the difference she can make in the life of a pet dog's life through positive signals and positive reinforcement. Dieta specialises in training puppies and in helping shy and fearful dogs using counter-conditioning and desensitisation techniques. She believes that if she could proactively provide puppies with the much-needed social and life skills, most behaviour problems can be prevented. Dieta's career transition to become a Dog Trainer & Behaviour Consultant was sparked from her lifelong passion for animals and her dog, Josh - a Cavalier King Charles Spaniel. She realised how fearful he was and found herself totally unprepared. She started looking for ways to help Josh and started training him using reward-based training methods to help Josh overcome his fears. Dieta saw how Josh becomes happier and more confident each day and she decided to go to the US and learn more about dog behaviour. She holds a Master of Science (MSc) in Canine Life Sciences from Bergin University of Canine Studies (USA). At the moment, she is studying to earn a degree in Ethology - a field of study focusing in animal behaviour - under the guidance of Dr Roger Abrantes, the Scientific Director of Ethology Institute Cambridge. Kristina is always learning new things from her dog students and from experts in animal behaviour. She is a graduate with distinction from the Karen Pryor Academy for Animal Training & Behaviour, USA; under the supervision of the world-renowned dog trainer, Terry Ryan. She has also become a KPA-CTP (Karen Pryor Academy Certified Training Partner) and took the Puppy Start Right for Instructor Course from the same institution to learn more about puppy socialisation and learning. She is also a TAGteach Level 2 Certified Teacher in TAG, a revolutionary new way of teaching using tag point. All dogs deserve great trainers. Every Karen Pryor Academy Certified Training Partner (KPA-CTP) is a graduate of our Dog Trainer Professional Program and has demonstrated excellent technical knowledge and hands-on skills in positive teaching and training. A KPA CTP is a trainer you and your pets can count on. Can customise a training program specifically designed to help you and your pet communicate and succeed together. Graduates of the Academy are subjected to a policed credentialing process (i.e. their credentials can be revoked), and are expected to demonstrate the highest level of professionalism and ethics. Graduate (Distinction) & Certified Training Partner, Dog Trainer Professional Course, Karen Pryor Academy for Animal Training & Behavior, USA. 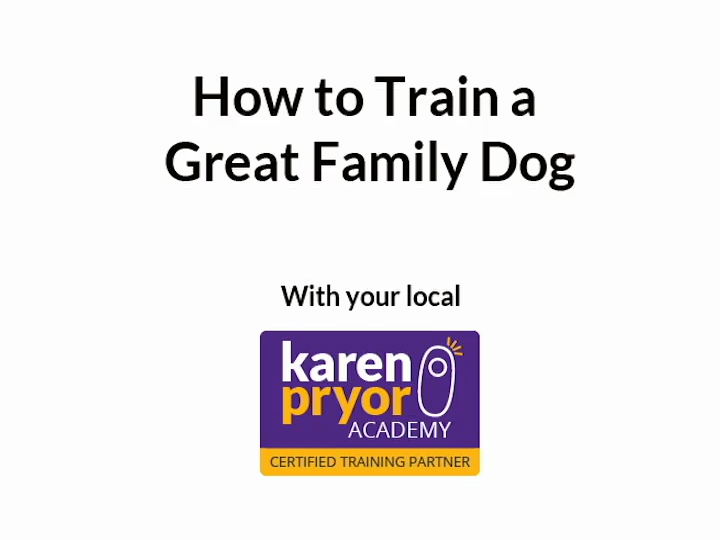 Under the supervision of world-renowned dog trainer Terry Ryan. Puppy Start Right for Instructor Course, Karen Pryor Academy for Animal Training & Behavior, USA. Canine Freestyle Course, Karen Pryor Academy for Animal Training & Behavior, USA.